she woke up with a start and sat up in bed. arnav ji! no he wasn’t there. he was not next to her in their bed. he was in hospital, in a cold hard room with needles all over him and a pipe in his mouth, she heaved with pain as reality rushed in, rending the night. her eyes closed as if to shut out the thought, a terrified breath escaped on a shiver. “arnav…” she whispered, her arnav, in her heart he’d become her arnav, ever since that night she’d let him untie a dori… believing him, trusting him. 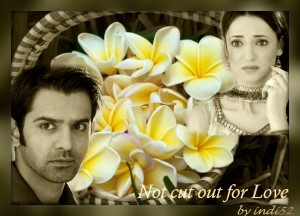 her rakshas, her laad governor, her arnav ji… but most preciously, right inside her, in her dhak dhak, her arnav. she’d tried to run away, but he’d caught up with her easily, and made her pay anyway… then thrust his cheek against hers and stroked her with that rough stubble of his… once, twice, and one more time, she’d squirmed and shrunk away yet wanted some more, he’d whispered… “arnav singh raizada kabhi haarta nahin,” in her tingling, gone crazy ears and left for work. no, asr never loses. the thought passed through her and a calm settled in. she remembered nani ji sitting quiet in front of devi maiyaa when she’d come back from the hospital with di, payal, and akash. she’d never seen nani ji look so frail, so powerless. forgetting her own fears and tiredness she had hurried up to the matriarch and sat down. “nani ji?” wan eyes looked back at her, “my chhotey?” khushi had grasped her dear grandmother-in-law’s hands and sat there. a keening rising in the hearts of two women who loved. anjali had come to stand by nani ji by then, her limp more pronounced in her disturbed state of mind. mami ji had gone off to get op or hp to make some lemonade and light cucumber sandwiches; her children had just come back from perhaps the most harrowing day in their lives, hello hi bye bye, where was op? she must do something to make them all feel a bit better, such a hot day, and now her “arnav bitwa istill isstruggling…” mami ji couldn’t finish the sentence. mama ji stood at the window overlooking the pool, gazing worriedly at his mother. akash and payal just stood in silence. shantivan had never been in such turmoil. “…but you know, khusie bitiya, he… my chhotey? he is a reflection of me.” tears streamed down those proud, wise eyes, khushi watched arnav’s strong beautiful nani ji go to pieces; “part of my…” and nani ji pointed to her own heart. now as she sat on her bed alone, she knew she had to make good on those words. she couldn’t let nani ji down. she wouldn’t. she swallowed as a surge of fear rose and then got up to sit in front of devi maiyaa who graced her little desk on one side of their large bedroom. had he called her in her dream? she could still hear the echoes of his “khushiii!” in her. the water in the pool rippled, stars twinkled on its surface. khushi felt under the pillow for her stars. he was in such a good frame of mind that morning, under the brightest star of all, the sun… dazzling and cleansing it had felt. the deal was done. sheesh mahal belonged to him and di again. chacha ji had been given the treatment he’d practically begged for all those years ago when he threw them out without a penny. aah, he almost smiled as he swam. years since he’d really smiled, but this brought a turn to his lips. then this thing fell on him. and it had the most maddening trembling… lips. now it was evening, time to relax, and here he was sitting in his room, staring at a ridiculous pink and brown plastic, or what was it? faux leather? whatever… purse. the pool cleaner had found it floating on the water and given it to him when he got back to the hotel, since he was the only one in for a swim that morning. must be hers… what was her name? he realised he didn’t know. now what? he decided to check inside to see if the strange girl with no answers had left any clues inside. things were a bit damp, but little and light (and really not classy), the purse hadn’t sunk to the bottom… must have been flung off her hand as she fell. good, here was a piece of paper, neatly folded. he opened it out carefully, that dampness could easily result in it tearing. it was a newspaper cutting, he was staring at a row of classifieds in tight black type. one ad was circled neatly in red ink. he began to read. modelling… hotel sheesh mahal… room 1913. fifty thousand rupees for a day’s assignment. he was out of his chair and his suite in a second, striding furiously toward the elevators. he reached room 1913, and was about to knock when he heard raised voices from within. “what are you doing? nooo!” said a girl’s startled, scared voice. “this is the easy way, believe me,” said a man, cold and oily. 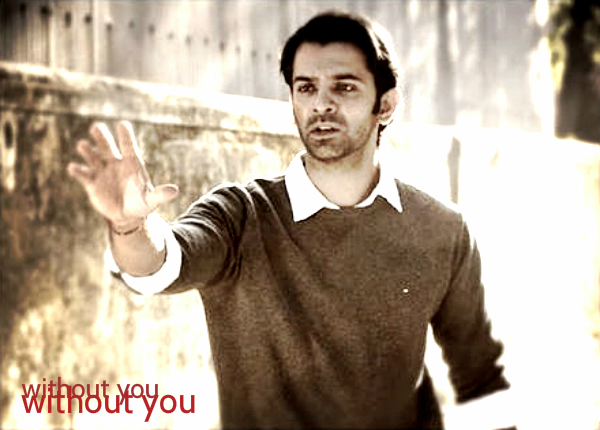 “if she doesn’t listen…” another man began, but asr had heard enough. 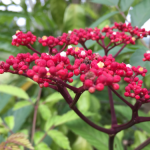 asr could feel his temper unfurl and hit a point just above his head, he walked in purposefully, long strides, jaws clenched, hands balling into fists. “she said, ‘no’ did you hear?” his voice was low, almost pleasant. the man smiled ingratiatingly and said, “you should have told me you’re from mr malik’s family… he’s such an esteemed customer… maybe you would like to..?” and he looked at the cowering girl. he then looked at the girl and without a word picked up her dupatta lying on the large bed covered in a plush satin spread and handed it to her. as she fixed her clothes and collected her belongings, he waited grimly. before she left he asked her to check if she had enough cash to reach home. even before she could finish saying thanks, he walked out looking even more fierce than when he’d entered. his breathing was getting shallow, what was the matter with him? he didn’t even know the girl. again he thought of that diminutive man with a leer. and his fist clenched. her eyes were dark and scared, water droplets on her lashes, sunlight glancing off them. he felt anger heat his ears. how could she. khushi was tripping down the steps of the temple happily while payal collected the prashad and flowers, thinking it was a good thing that amma and babuji and buaji had bought her story, also jiji. that preeto was suddenly sick, and her parents were away, so there was no way she could leave her friend alone. their phone was dead and she’d forgotten her phone at home, so what could she do but nurse her friend through the night then get back? it was surely divine providence that she’d left her phone behind, she thought and sent up a prayer to devi maiyya. there was no question of telling her parents the truth. it would be unbearable for them. the trauma and the talk around it, no she couldn’t put her parents through that. it was better to lie. “tum!” he was standing there right before her. you! 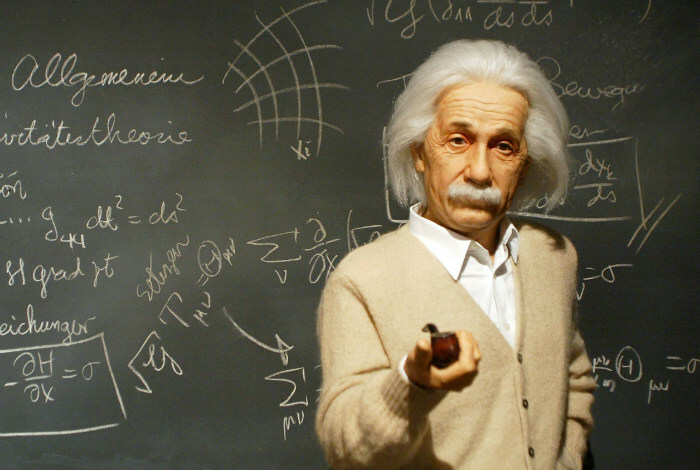 he exclaimed, but why was he looking angry? “you.. you want money… there are better ways… don’t you get it…” the fury in his voice… everyone was turning to stare at them. “who am i? i am the one who saved you, remember…” now the teeth were definitely gritted and the voice had lowered to an agitated undertone. khushi saw his lips thinning and a strange sensation walked her upper arm. she had to acknowledge, he had saved her… twice. “hah! that’s a good lie,” he spat out. she walked into asr’s cubicle with an upbeat air. she would talk to him today, tell him, he has to get up and come back. he must try. but before that she’d hang these stars up over his bed. tears started to pour unrestrained as every memory she’d tried to blot out began to return. “khushi!… khoooshiee,” a woman’s voice rang out from somewhere above. 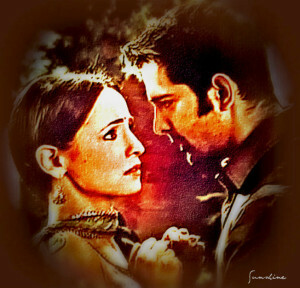 “shut up, khushi.” said the stranger quietly. and the next instant he was gone. what was that in his voice? surely not gentleness. she walked into asr’s cubicle with an upbeat air. she would talk to him today, tell him, he has to get up and come back. he must try. but before that she’d hang these stars up over his bed. she ‘d taken them down from above hers and kept them in her drawer. she felt so safe and protected just knowing he was next to her… holding her hand as they slept. sometimes they woke up too… mmm. but last night she needed them again. arnav will be happy with these looking after him… she was busy fixing the strings and hooks. 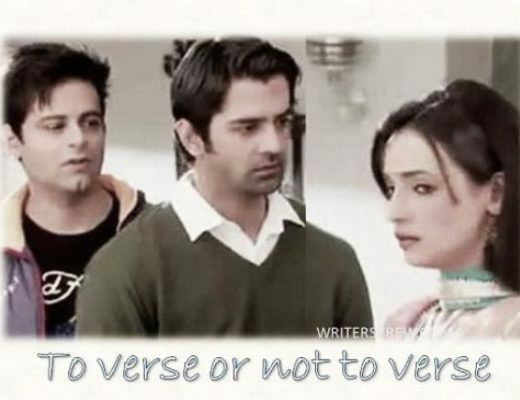 “shut up, khushi” said asr. she whirled around and said, “what? i wasn’t even talking… how can you say that, i know sometimes i talk a lot but…?” she stopped. what? arnav… spoke? eyes full of hope she looked at him. but his eyes were shut. face closed. nothing there. dr vijay verma looked at the anxious young woman before him, and wished he could say it in a better way, say it even differently. he’d seen her state when arnav singh raizada was brought in. he was there through the valiant struggle by the patient in the operation theatre, and he knew how hard his wife had tried to hold on to a sliver of hope. also twice the young man had shown signs of stabilizing. all she heard was, “shut up, khushi,” and a stubble brushed against her cheek. Hi Indi… I finally gathered enough courage to read this story again. I still remembered the fear I felt, reading it the first time… so afraid that your ASR will not make it (The title of the story doesn’t help, mind you!) Foolish I know… Darn it… Fictional characters… made up world… If he dies in this story… he is alive in so many more… But it didn’t work. This one had to survive… Your ASRs have it. They have the essence of the original. The perfect combination of arrogance and gentleness (albeit at times reluctant, almost unwilling gentleness). The connection that he forges with her in an instant. 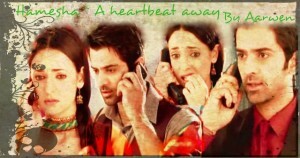 The gussa… His outrage at the danger she placed herself in… The Shut up Khushi. Love the story Indi… I am going to enjoy it so much more, secure in the knowledge that all will be well. Haven’t reached that stage quite yet… coz… well… he is not awake yet. (I need my head examined). P.S. Are you writing? I read and appreciated the Bandit story… But… Are you going to make me ask? pagal ladki… and around here we have a certain brown eyes going soft fondness for such people. thank you so much for reading without you again. and feeling desperate about the state of one guy in a coma. he is so ridiculously precious. tell ya. i am writing my last few episode takes on ipk… and actually feeling sad that i won’t be jabbering about him soon. what madness. he is such an impossible character but you can practically feel the man living and breathing around you. without you is the first fanfic i ever wrote. i used to laugh my head off at all ff you know. giggling madly and saying nahin when friends suggested i write. then one fine day, a photograph and the feeling it set off… here i am writing extensions to my fanfics. 🙂 🙂 🙂 mighty i never was but oh what a fall it was from nowhere to wherever. Aap likhain aur hum parhnay na aayain… aise to halaat nahi! Rather there is more chance of you getting tired of me sending the kabootar your way. And I am not even kidding. Now I can easily spend the entire day, or what is left of it, trying to explain exactly why I fell in love with these characters, but thankfully I am speaking to ‘bird of a feather’. Aap to hamare dil ki baat khoob se samajhte ho. Laughing. Honestly Indi, the pleasure is all mine, reading your stories. I have already read NCOFL three times beginning to end. I like to revisit your OSs like old friends… This one I had stayed away from. I guess I hadn’t forgiven you for scaring me the way you did with your beginning. I think I even messaged you the first time I read it, just to confirm that nothing bad was going to happen. I am just not ‘cut out’ for that sort of suspense. Laughing. thank you so much, sam ji. read ncofl so many times? some day, i must go read it. sharing dil ki baat here, you know, the next chapter is abs the last one of never on a new year. i know that. i know what’s happening in that chapter, i can practically see it. yet i am not writing it… because once it’s done, it’s over. my hanging out with the raizada singhs and gupta kumaris over… not a situation i like. or maybe i will write a nice long epilogue. yes. phew… saved from cold turkey… hot kabootar ji approves. Halt! Stop! Take a step back… Are you telling me you dont have a new story, a new plot in the works already? How could you? I trusted you Indi… I depend on you to provide me with a steady ( sometimes delayed… and sometimes really, really delayed) supply of your version of ASR and Khushi… And now you are going to yank it all away… Leave it to an ephemeral ‘maybe’? Oh… woe is me! Nahi… Nahi… yeh nahi chalega… Socho… jaldi… jaldi socho! Aur yeh Epilogue ki ramanchi might satisfy the kabootar (though I highly doubt it) but hum iss say satisfy nahi hone wale… Bata rahain hain aap ko! hahahahhah, sam… tum theek ho? okay okay, i is sochoing a la soceka padi, frantically at that. in the meantime… reread zindabad. baht sara love aap ko bhi.